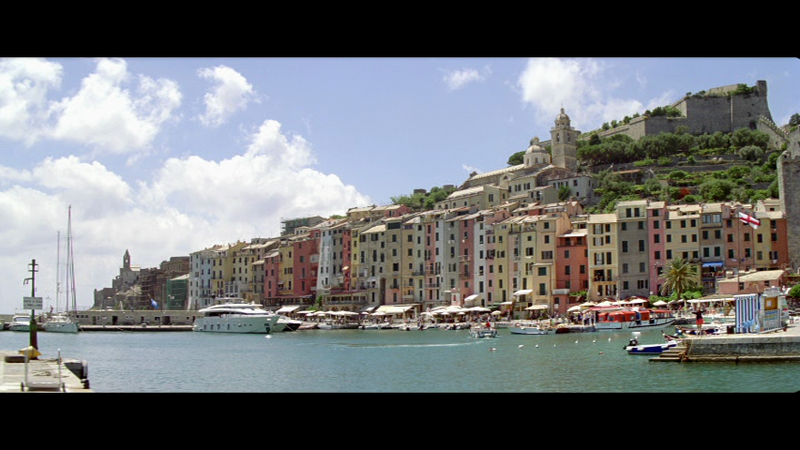 Zoya Aktar’s third film follows the members of a dysfunctional, wealthy, Punjabi family as they celebrate the 30th wedding anniversary of Kamal (Anil Kapoor) and Neelam Mehra (Shefali Shah) on a 10 day cruise around Greece and Turkey. Along with their son and daughter, Kamal and Neelam have invited friends and business associates on a voyage that soon hits very choppy water indeed. This is a road trip movie on a grand scale, but despite the luxurious setting the problems are fairly standard for an Indian family drama – unhappy marriages, a failing business and parents interfering in their children’s lives. Soap opera stuff, but beautifully done with some unexpected plot threads for good measure. 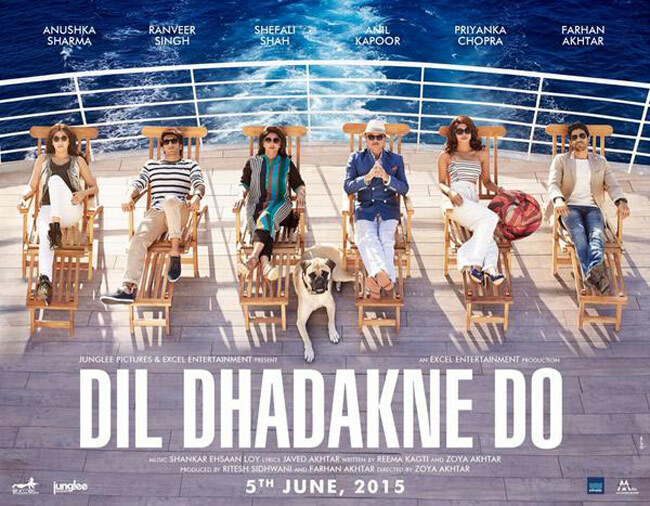 While the story could really be set anywhere and have the same effect, the gorgeous locations and all-star cast ensure Dil Dhadakne Do is an entertaining, although rather overlong watch. 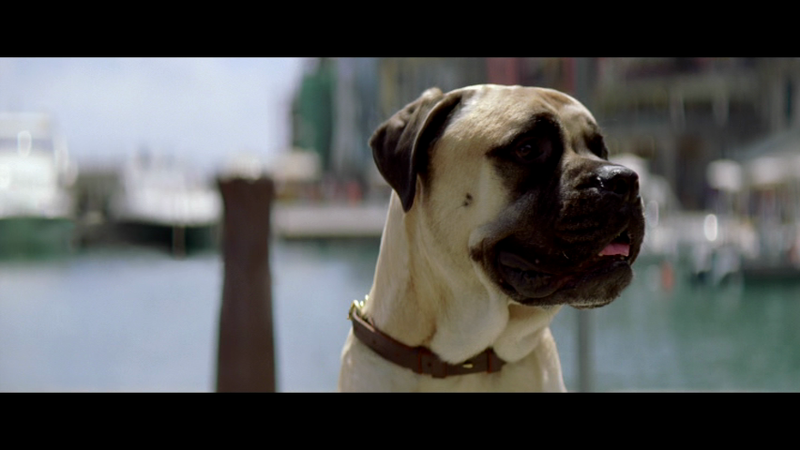 The film is narrated by the family dog Pluto, voiced by Aamir Khan, which surprisingly isn’t as irritating as it sounds, despite a tendency for Pluto to state the obvious. 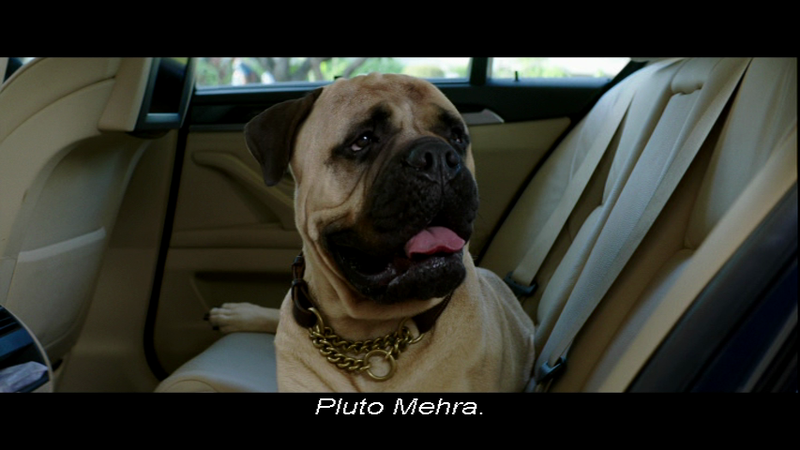 Pluto’s commentary on the inability of his humans to communicate effectively and the overall irrationality of the human species generally, ensures he’s the most sensible Mehra of the lot – and the cutest! The Mehras are not a happy family. Kamal’s business is teetering on the brink of bankruptcy while Neelam binge eats as compensation for silently enduring her husband’s frequent affairs. Their children have issues too. Son and heir to the family business Kabir (Ranveer Singh) has no desire to step into his father’s shoes, and little aptitude for the job either, while daughter Ayesha (Priyanka Chopra) struggles to hang on to her own successful business as her chauvinistic husband Manav (Rahul Bose) and interfering mother-in-law (Zarina Wahab) pressure her to start a family. Putting them all together for ten days seems like a recipe for disaster, particularly since each is determined to keep up appearances and pretend to the rest of the party that everything is fine. Zoya and co-writer Reema Kagti don’t stop there either. 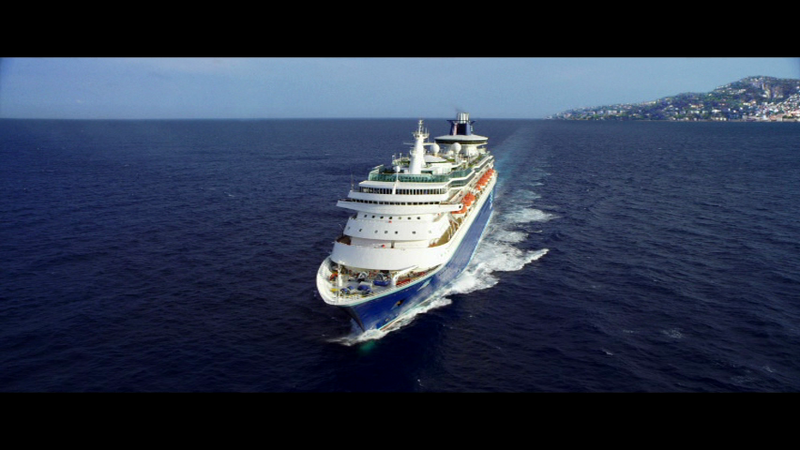 Every other person on the cruise has their own issues too, from Neelam’s circle of toxic friends and their unceasing gossip about each other to Kamal’s best friend Vinod Khanna (Manoj Pahwa) who hates fellow guest Lalit Sood (Parmeet Sethi) and is dismayed that Kamal has invited him along. Each character has a part to play in the unfolding drama and every thread is carefully woven into the story to provide colour and texture to the plot. 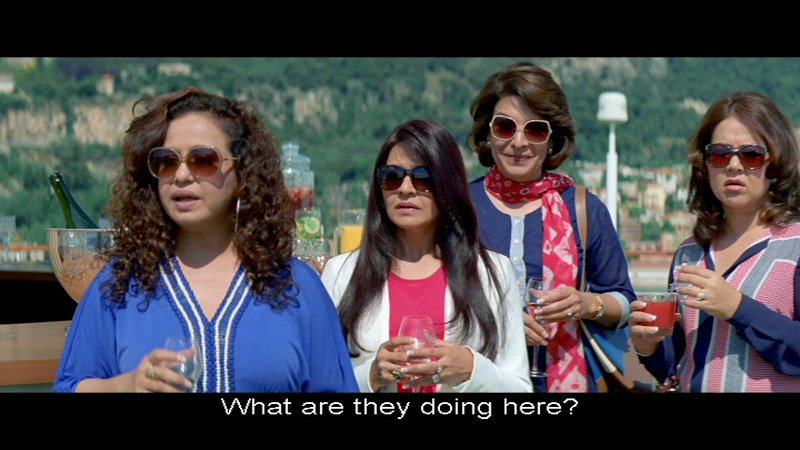 Every moment is perfectly portrayed too, from the fake teeth-baring ‘smiles’ on the faces of rival wives Vandana Khanna and Naina Sood as they greet each other, to Ayesha’s reaction to her ex Sunny (Farhan Aktar) when he joins the cruise. The Sood’s have been invited as possible investors in Kamal’s company, but they have the additional advantage of an unmarried daughter Noori (Riddhima Sud) who might be persuaded into an alliance with Kabir. Not that Kabir has any inkling of his parents’ plan and instead falls deeply and most unsuitably in love with one of the dancers on board the ship. Farah Ali (Anushka Sharma) is a Muslim who is estranged from her family and has to work for her living, which means that the ships policy of non-fraternizing with patrons could cost her her job. She’s understandably more cautious, while Kabir rushes into the relationship without any further thought. Ranveer and Anushka have fantastic chemistry together and their developing relationship is beautifully portrayed in the song Pehli Baar. Ranveer Singh is also excellent in his role as Ayesha’s brother and shares an easy camaraderie with Priyanka that really does make them seem like brother and sister. Ayesha looks out for Kabir and tries to help him stand up to their father, even as she fights her own battles without any family support. Ranveer keeps it cool and laid back in the scenes with his family but is full of his usual energy in the songs and his performance is one of the highlights in the movie. Priyanka is just as good, and she pulls off another stunning performance, using her eyes and facial expressions to excellent effect and making her Ayesha one of the most relatable characters I’ve seen recently. The rest of the cast are also well cast and complement the lead actors. Gallan Goodiyaan sees most of them dancing in classic ‘everyone knows the choreography’ style, but it’s made even better by the sheer number of aunties and uncles joining in. I’ve always been cautious approaching any film with Anil Kapoor after the trauma of seeing him shirtless in many of his Eighties films, but he is a fine actor and is superb here in a role that lets him show vulnerability as well as the more usual autocratic behaviour expected from a Bollywood father. 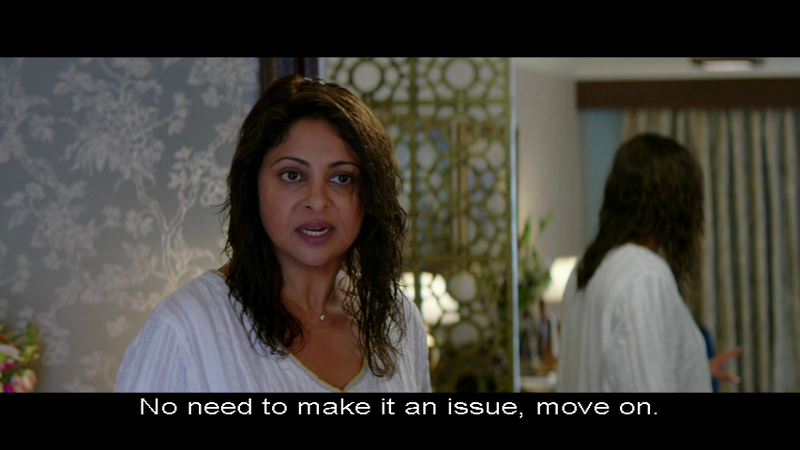 Shefali Shah too is very good in her portrayal of a betrayed wife who puts up with her husband’s infidelities because that is simply just what you do. 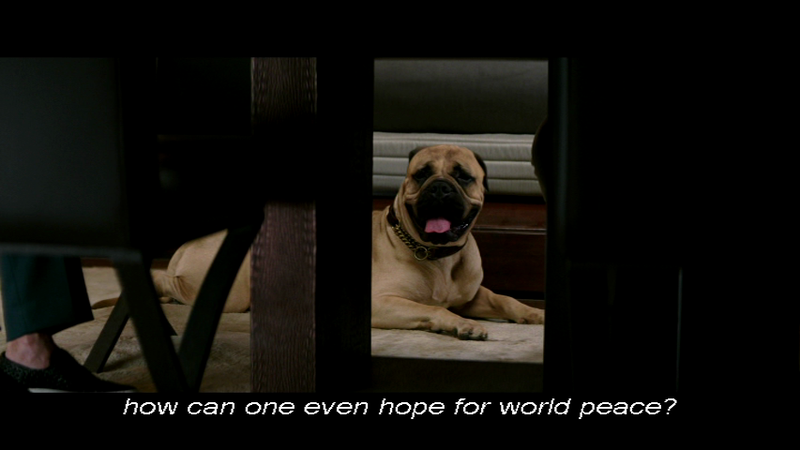 Everyone seems perfectly cast, although initially Rahul Bose seems out of place as Ayesha’s husband, but after a memorable tennis match I cannot imagine anyone else reacting so perfectly to the barrage of vicious volleys Ayesha sends his way. The family dynamic is well written into the screenplay with many small touches that consolidate the relationships and illustrate the friction bubbling away under the surface. Despite their differences Neelam and Ayesha are more similar than they realise, nicely demonstrated by the way they both react with their hands to their mouths when shocked by Kamal’s behaviour. The theme of equal rights for women is also well integrated into the narrative without becoming too preachy or sanctimonious, while the generation divide provides yet more opportunities to explore the different approaches to love and marriage. 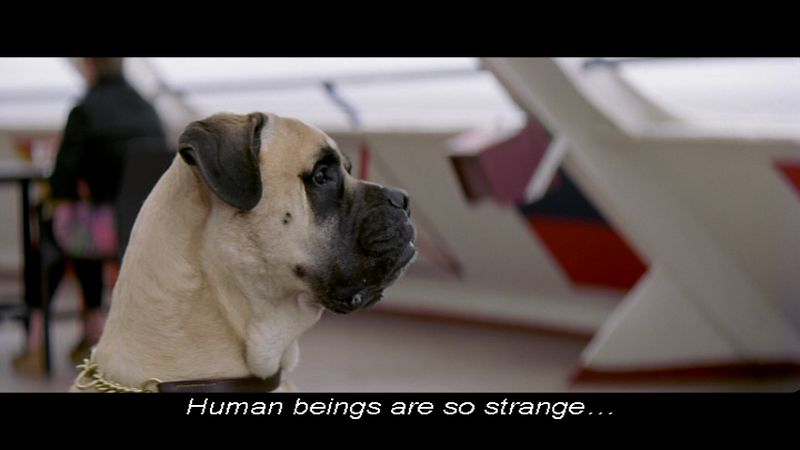 I love this film, even with it’s overly melodramatic conclusion and cheesy method of tying up the few the loose ends. My only complaint is that the music from Shankar-Ehsaan-Loy isn’t as catchy as expected and a few of the songs don’t fit well into the screenplay. However the leads are all fabulous, the support cast equally excellent and the story a perfect mix of comedy, drama and social commentary. 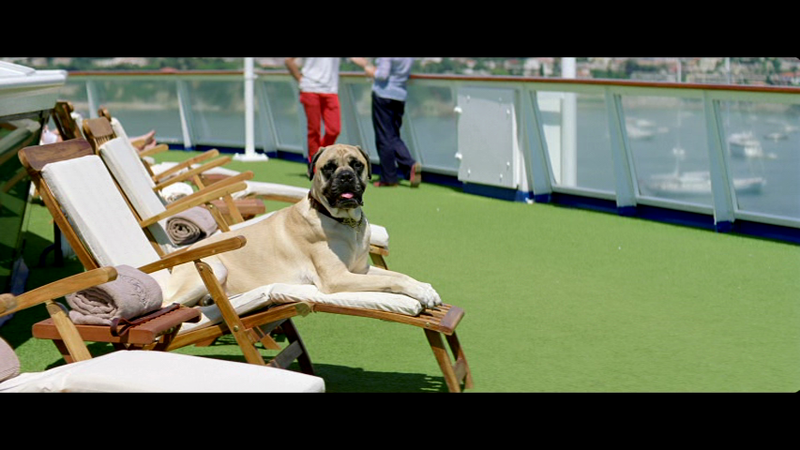 Maybe it’s my love of soap opera from the nineties coming back to haunt me, but the characters in Dil Dhadakne are engaging and the story more relatable than expected considering the amount of overt wealth on display. Well worth watching for Ranveer and Priyanka, and light-hearted character-driven drama that gives everyone a chance to shine. 4½ stars. This entry was posted in Bollywood and tagged Aamir Khan, Anil Kapoor, Anushka Sharma, Bollywood, DDD, Dil Dhadakne Do, Farhan Akhtar, Hindi, Priyanka Chopra, Rahul Bose, Ranveer Singh, Reema Kagti, Riddhima Sud, Shankar-Ehsan-Loy, Shefali Shah, Zarina Wahab, Zoya Akhtar. Bookmark the permalink. The end is very cheesy, but wet tousled Ranveer makes it fun!